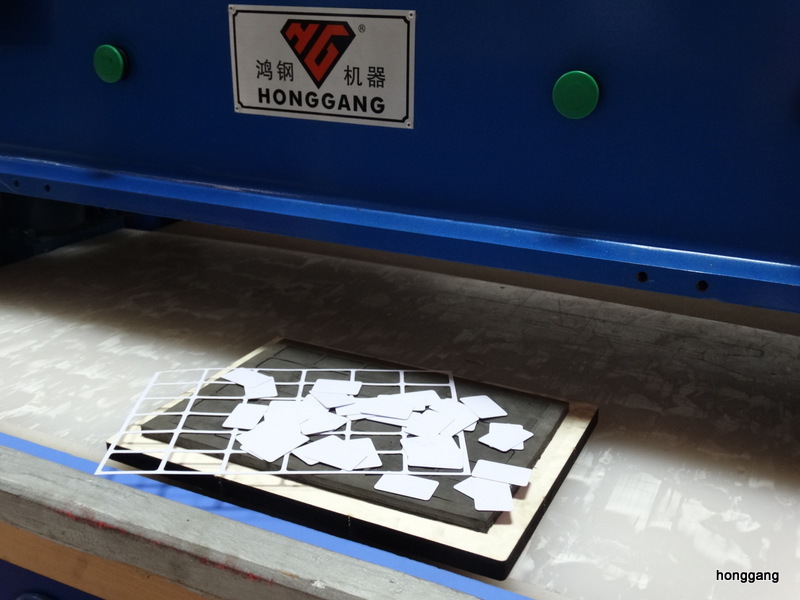 It's a new test for cutting thin to 0.2mm of plastic sheet cutting for filter. The hydraulic die cutting machine, so strong that we still figure its functions out for any other materials. It all depends on the experiences on solutions about cutting die, cutting board, cutting filling foam, cutting pressure and any other details. Honggang has the ambition and capacity to help you do more. Plastic sheet filter die cutting machine is our standard model of HG-A/B30T, while the key point is the foam filled into the cutting die. It takes us much time to find the suitable foam to full fill the cutting die avoiding the damage the thin or hard materials products. The foam filling the cutting die and cutting die, machine cutting size, machine color all are optional. contact us to know more about this die cutting machine.